Should we wear aids to hearing all the time? You need to wear assistance aids ALL your waking time, then it becomes second nature. There should be no opt-out choice especially for children during formative years and education, or you can never make it up. 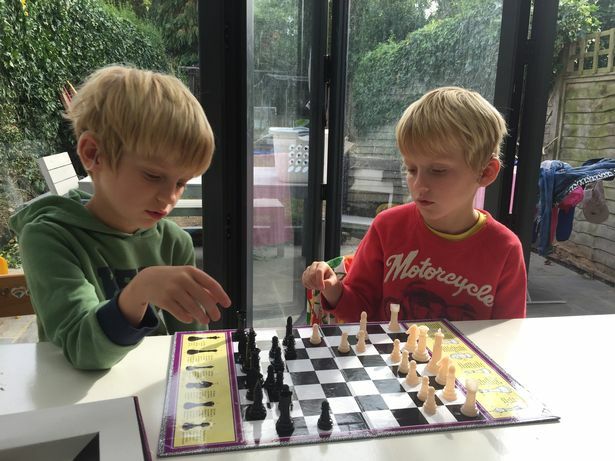 When their newborn twins were diagnosed as profoundly deaf, a Bath couple doubted whether they would ever hear their sons talk at all - let alone speak two languages fluently. Twins Zack and Dylan were born in 2011 in New York and just days later failed their newborn hearing tests. It came as a huge shock to mum Deborah Pezzuto and her husband Alessandro. Mrs Pezzuto said: "We could not believe this could have happened to us. Audism for the politically Correct. I blame Paddy Ladd and that beard personally! Deaf activism fights back with Audio! I'd suggest they master captioning, inclusion, and subtitles first. Expect not that which you do not provide yourselves. Is attacking people who don't know what you are talking about, a practical proposition? or just a 'Deaf' rant at perceived but unsubstantiated critics of the deaf. Produce proof. Meet the hearing get their side. Unfortunately, inclusive and easily accessible are not parts of it... with lack of captions it is just 'learn a sign'. Megan Lannert has five children, three of them were born 100 per cent deaf. However, with cochlear implants, you wouldn't know it. With the exception of Dad, everyone in this family has some form of Waardenburg Syndrome. "Layman's term, it is a mutant X gene that is in the system, so it's hereditary," said Lannert. Waardenburg has multiple symptoms, like different colour eyes. However, the most notable symptom is hearing loss. William, 11, Lexi, 9, and Gabe, 4, were all born completely deaf. It's hard to tell with their cochlear implants though. Lexi doesn't really need to know sign language because her implants allow her to hear pretty well. Which in turn, has allowed her to talk. "I like art and math and science," explained Lexi. Her older brother William has the same type of technology, just a less updated version. He got them when he was two. "Emotional and scary for him, he screamed his head off!" said Lannert. "You go from two years of hearing absolutely nothing to wow, hang on, wait for a second what is that? That's somebody's voice!" The technology is not a perfect fix and that's what Megan Lannert wants others to understand. "He struggles every single day, whether it be in a classroom, whether it be even sitting here in this setting," said Lannert. All three of her children with deafness have to process what they hear. "Where we sit here and have a typical conversation, they have to sit there and think and their conversations might be much slower than ours," said Lannert. "And I'm always trying to concentrate but I can't because my friends are so loud," explained William. Luckily, Bluetooth technology has come a long way. With it, the kids can hook up to electronic devices like phones or even a teacher's microphone at school. Of course, there are also applications you can download for the devices as well. "It has a GPS tracker," explained Lannert. Sadly the access via text is very poor and littered with issues, are we disabling ourselves by not insisting on a higher standard in accessible output? A revolutionary new app is being developed in the Tees Valley to help deaf people communicate over video calls. Hearclear has been described as Skype with text and uses its software to create subtitles of conversations as they are happening during a video call. The idea is the brainchild of Martin Phillips, who founded his company Desifa in Sadberge after realising his wife was having trouble communicating with their son when he moved to the US. Mr Phillips said: “I thought, there has to be something around but having looked around there was nothing. Most of the solutions for people who are deaf or hard of hearing is speech to text on a landline or streaming into hearing aids through Bluetooth – but you can’t have a family conversation as the other sounds are wiped out. The Hearclear app allows people who are hard of hearing to speak to family and friends over its video call technology. The two co-founders both have family members who struggle to communicate using video phone call apps, which gave them the inspiration to create the product. By combining text with the app’s video features the duo believes they can improve conversations by reducing misunderstandings that can take place when only text is used. Deaf woman rejected 1,000 times by employers..
A deaf woman is desperately searching for a job after being knocked back for more than 1,000 positions. 32-year-old Kellie Wilson says her job hunt has been so gruelling because bosses reject her as soon as they realise she’s deaf. She says having so many job applications rejected has knocked her confidence, and that she fears she’ll never find her dream position because of her disability. Kellie suddenly lost her hearing when she was just four years old and relies on lip reading to understand people. She says she’s absolutely sick of being rejected, despite having a range of experience, having previously worked as an administrative officer, legal assistant and finance assistant. Kellie, who lives in Richmond, North Yorkshire, once worked as an assistant at notorious jail HMP Wakefield in West Yorkshire, from 2004 to 2009. Since then, she has had a number of temporary jobs secured through a local job agency but the longest time spent in employment has been nine months, while the shortest was four days. A blast from the past, and a watershed for grassroots inclusion, but, has inclusion really advanced with UK Hearing loss charities? or did they just move the goal posts and re-define and re-brand themselves as something else entirely? As regards to 'warring factions' it still goes on, doesn't it? To the UK BSL deaf he was a hero or martyr, to the realist a sadness a chance to bridge the real divides didn't happen because of vested interest. "Several thousand deaf people are expected to march in London on Saturday to promote awareness of British sign language (BSL) and call for its official recognition as the equivalent of a spoken tongue. The Federation of Deaf People, which is organising the march, says BSL is in more common use than Welsh, Cornish and Scottish Gaelic combined. The federation has been set up by Doug Alker, former chief executive of the Royal National Institute for Deaf People (RNID), who this week also publishes a book setting out his version of the momentous events surrounding his departure from the charity in 1997. At the time, the charity said he "wanted the freedom and time to tackle issues close to his heart". But Alker, whose severance deal included a two-year vow of silence on events, now says this was far from the truth. In a bitter and outspoken attack on the RNID (Now AOHL), leadership - in particular, chair David Livermore - he claims he was victim of a palace coup for moving too far and too fast towards a deaf people's agenda. The significance of this is that Alker was the first deaf chief executive of the RNID. His appointment in 1994 was hailed as a watershed in the world of disability charities. But, according to his account, he soon became mired in the long-running feud between "oralists" (those who believe deaf children should be exposed to the conversation and discouraged from signing) and advocates, like himself, of BSL. In the book, Really Not Interested in the Deaf? Livermore is portrayed as sympathetic to the oralists. 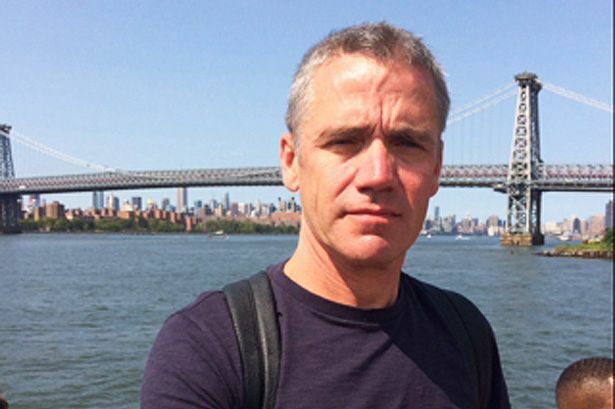 He is accused of manoeuvring to oust Alker and replace him with James Strachan, the current chief executive, who is also deaf but comes from a very different background to Alker. Alker's departure in 1997 triggered outrage on the part of some deaf activists, who forced an extraordinary general meeting of the charity but failed to defeat the leadership. Many activists are said then to have drifted away from the organisation. One of the saddest episodes in the saga, as the book recalls, was the involvement of police at the apparent instigation of the leadership. Officers visited a house being used as a mailing address by a self-styled "RNID action group", collecting support for the emergency meeting, and seized correspondence that was allegedly then handed over to the charity. Alker writes: "The RNID's involvement of the police against its own deaf members had a chilling effect." Alker, 59, is now based in Lancashire, where he is working to attract young deaf people to the federation's rights agenda. The RNID says it is unable to comment on his book without seeing it, but points out that he worked for the charity for 10 years in all and that it shares his goal of official recognition of BSL." Untitled from sarahjane on Vimeo. If it was a software glitch why not sort it, not remove the entire site? Just fess up, and state it was a commercial decision and the data breach didn't really count! Google+ is shutting down due to massive data exposure. Google today announced through its blog that the company will soon shut down the failed social network for consumers. And deaf think Brexit is what it is all about! ATR posted complaint and concern to the UK's (Debatable! ), leading and premier Hard of hearing and occasionally Deaf charity. ATR: "Can the AOHL start devolving its website to reflect the devolved government of the UK? Brexit apart, the AOHL must be the sole charity left in the UK that has failed to recognise devolved assemblies, and, devolved approaches to our access/health and support. ERGO . Wales are frustrated forever reading of events/campaigns in England, and English made decisions on English support, being suggested as Welsh ones too, which led on 4 occasion Welsh deaf commuting to Westminster to lobby for access which was the domain of the Welsh Assembly in Cardiff, not London and organised BY the AOHL, which was another photo shoot PR job for AOHL, knowing deaf don't read the bottom line but will turn up for a fridge opening.. The Deaf, as well as Charities, act as if Devolution never happened. The result? nobody is lobbying the appropriate areas, so progress doesn't happen. While AOHL occasionally notes things happen outside London/England, the relentless and singular approaches carry on as if it is the same situation now as 1911. We are not really interested in issues from areas that are not relevant to Wales, we can watch TV or buy a daily paper for that or even go online.. We are also annoyed that AOHL insists we contact England AOHL/HQ with regards to raising and contacting re Welsh issues and indeed the alleged localised contacts of 'AOHL CYMRU.' A misnomer in terms. WHY, is there ONLY one website? The debacle of failed AOHL involvement in Cardiff and elsewhere is legendary too and failing to function because the Assembly refused to fund deaf access to sensory committees, then AOHL pulling out because they were fed up providing it for free, yet, AOHL then 'rewarding' the Assembly for 'deaf awareness' you could not script it. What access there is/was to the Assembly for deaf people, came not by wasted meetings by AOHL at the assembly, which was a blatant PR scheme to get funding and Kudos, but individual deaf and HoH lobbying outside for it. Deaf and HoH are being crowded out by the AOHL and by the Assembly who refused to allow grass root input after they requested it choosing only to debate amid themselves. 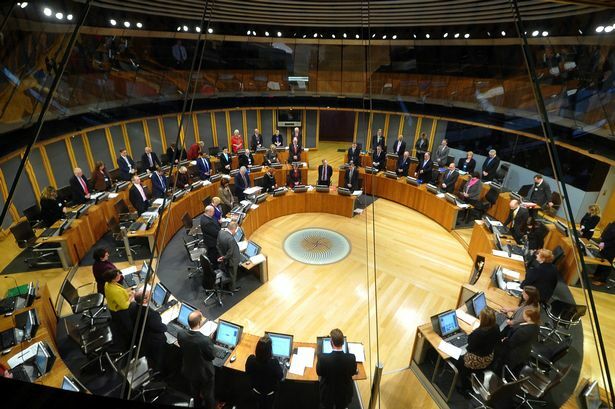 We in Wales want a devolved AOHL site to mirror the devolved governing reality and a 'people's' representation at the Assembly, not charitable vested interests which we have already abandoned both as representation, and, as members. Charity Commission statistics tell the real tale. AOHL Cymru must be a stand-alone option, not some archaic 'offshoot' of colonial London. Since Brexit, the whole Welsh support system of the deaf and HoH has collapsed in apathy, and in disarray, and allegations AOHL colluded with welfare agencies in removing deaf financial support and signing a non-oppositional clause to the cruel cuts we suffer. All this, despite the promises of access in 2005, we still don't have it for health or care. We need autonomy to get things moving again and deaf/Hoh/Deafened are not happy with the approaches AOHL are taking with little or no localised input. That is despite in-fighting and bias in access campaigns amid ourselves which fuel the view, representation is better it left to charities who at least offer a direction of sorts, instead we got Deaf V HoH setups, it's time grassroots put a stop to it all. 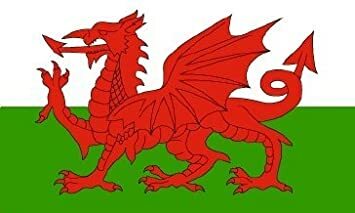 On at least 6 occasions to my memory raising issues with AOHL Cymru had to first go through AOHL London, WHY? Why set up a regional annexe and put non-regional contacts up? Also, should not funding for AOHL be redistributed and lobbied for 4 ways too? In Wales we know what our own priorities are, just as Scotland and Ireland do, stop patronising us please. The empire doesn't exist any more. We have 300,000 with hearing loss here still not getting health access or support or even a voice, so what IS the AOHL for? It certainly does not represent either the welsh deaf and HoH areas, of 10m with hearing loss in the UK, less than 20K are members of the AOHL and most of them NOT deaf either. With access to mental health support issues. ATR is not convinced some deaf want support at least not the ones who DON'T need it anyway, but who are quite happy to demand types of access that make help more difficult to apply for their more vulnerable peers. In the UK We had one group of cultural deaf insisting medical staff not only sign but have awareness of deaf culture via Milan etc, which I think is just making for more issues with deaf mental health. Your average deafie on the street knows or cares little about the 'oral-sign wars', of the1880s they live in the now. I cannot help thinking culture is beginning to be entirely negative for many deaf people. E.G. Where the UK rejected Deafhood as a mish-mash of incoherent ramblings, and the 20thc version of the Emporers New Clothes written in some obscure dialect, the USA grabbed it with both hands and sold their own version e.g. and they still cannot make it comprehensible. 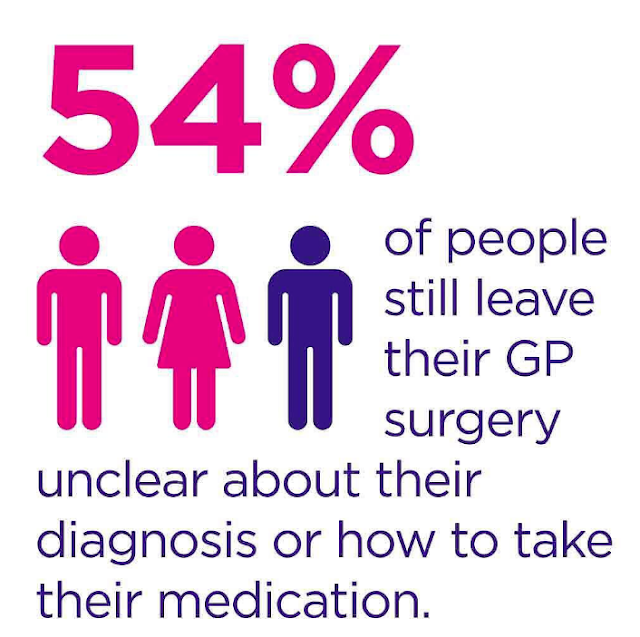 What is important is effective communication between Dr and Patient, everything else is a red herring. E.G. To see able deaf with skills to communicate other than sign and/or able to bridge areas of communication to turn around and then stop doing that in the name of culture and demand sign only cultural only approaches, I think is undermining access for everyone else as systems attempt to accommodate them, mostly they can't. It is as if these Deaf are determined to be martyrs and for a cause they can't define. Meanwhile what constitutes mental health is the deaf seems to be up for grabs, because deaf are confused about what communication skills they need as opposed to listening to those who tell them to state a preference instead, regardless if practicable or viable. More martyrs emerge. The UK has many mental health support areas, most of which the deaf do not attempt to utilise, but instead demand 'conditions' from the medical staff diagnosing them that has little to do with mental health or communication but something else entirely, with all sorts of demands for 'specialisations' in deaf awareness that appear to change via who is asking for it. In response, health professionals are opposing translators in the room via some vague interpretation of the Hippocratic oath leaving deaf patients unable to communicate or the Consultant. Still, there is always culture!!! The Deaf world has no unity of approach on their own 'chosen/preferential' communication approaches, no signing normal standards and a determined opposition to compromise anywhere. Increasing demands for Deaf-Only systems, run on 'cultural' grounds is chaotic, not really supported, and random too. Most is driven by financial advantage and individual Kudos, and not practicalities. What we see are hearing welfare/support workers standing IN for a Deaf patient because the signing is too ineffective to effectively diagnose. This has meant many deaf patients being sectioned, drugged out of it, and isolated from family support too. Cultural adherents need to start concentrating on effective communication, not own versions of it. Not Makaton, Not BSL but Lamh? Do the deaf children need more confusion given the disablement at day one isn't just deafness? A video went viral showing the reaction of a young boy to the actor Rob Delaney signing a bedtime story on the CBeebies channel. Delaney wasn’t using British Sign Language – he was using something called Makaton. Here in Ireland, we have our own version of Makaton. It’s called Lámh, and while it’s based on Irish Sign Language, it’s a different form of signing. The team behind Lámh welcomed the excitement about Delaney’s CBeebies appearance, saying they hoped it would encourage Irish children’s television to feature Lámh. “Lámh is a manual or keyword signing system for children and adults with intellectual disabilities and communication needs in Ireland,” explains Mary Cullen, manager of Lámh Developmental Office. It’s a signing system as opposed to a sign language. Irish sign language is the natural sign language of the Deaf community in Ireland and has evolved naturally as a language – it wasn’t set up or created by anyone. While Irish Sign Language (ISL) is a complex language with grammar and a huge vocabulary, Lámh is different. It’s mainly for children and adults who have intellectual disabilities, to help them with communication. It is not strictly for people who are hearing impaired in some way. “Lámh was created in the early 1980s – it is a system of a small number of signs that are less complicated [than ISL],” says Cullen. She explains that it’s a system, rather than a language like ISL. The UK Government may introduce British Sign Language (BSL) as a GCSE thanks to one calculated deaf schoolboy. Daniel Jillings, 12, launched an online campaign for change – and the education department is taking notice. The Department for Education (DfE) will now consider making an “exception” after Daniel’s family launched a legal challenge, saying the lack of a General Certificate of Secondary Education (GCSE) duration in BSL may be “discriminatory and unlawful.” GSCEs are a qualification earned in a specific subject, typically taken by high school students aged 15–16, to qualify for the final two years of high school. “There are many foreign language GCSEs available but as a Deaf BSL user, I cannot achieve a GCSE in these because of the speaking and listening exams,” Daniel wrote on his fundraising page. Daniel’s mother has consulted with lawyers who believe the lack on a BSL duration may equal discrimination and be against the law. 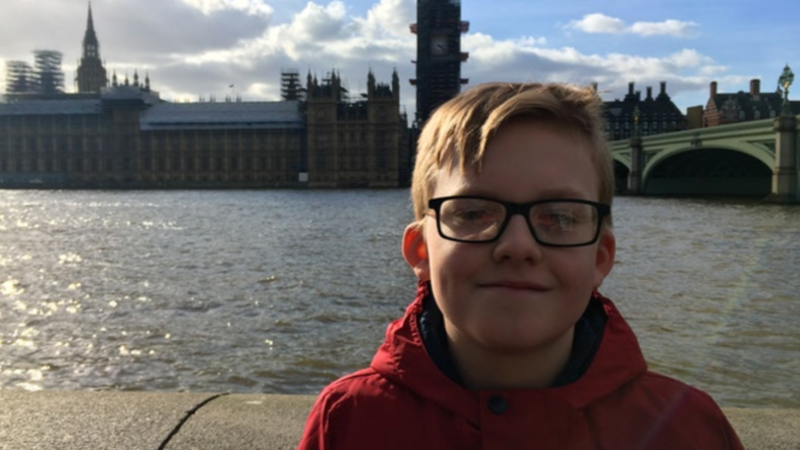 The addition of a BSL duration would allow deaf children like Daniel to take an extra language in lieu of the ones they are presently excluded from and will allow different students to learn BSL – making the community more inclusive of deaf people as a result. Previously, the DfE has said no new GCSEs would be introduced within this parliament, but it appears the UK public may witness one of those (quite common) backflips due to public pressure. ATR: As regards to any confirmation from the DfE, they are still saying it may 'consider' in the future, there is no time-scales set and no promise of a BSL GCSE debate as yet. Those BSL areas suggesting a BSL norm at day one of education are not going to get it. This request is for 15-16yr old deaf youths. ATR does not believe there is much point to this given the mainstream is still unwilling to accommodate BSL use and the supportive area to empower BSL use isn't there, or teachers trained, which means a class for GCSE may well not be viable either. Would we just see GCSE classes with just 2 or 3 deaf in them? and only in areas able to provide the staff to make it work? This article came via Wales (UK), which has already, a dire shortage OF BSL support on the street. There are also challenges on BSL teaching where teaching staff of BSL lack the appropriate teaching qualifications of the curriculum. This is just opposed on cultural grounds, where advocates want to dispense with the grammar side of English, which means the young deaf would be better signers but still unable to access the college/Uni tuition because of issues reading the coursework. Doctor hears again after 30yrs deaf. 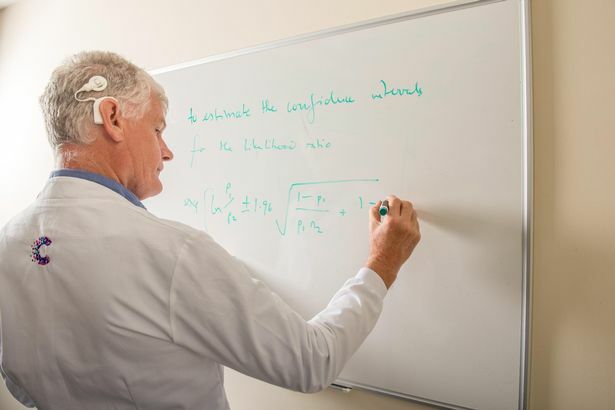 A doctor's hearing has returned after 30 YEARS of being profoundly deaf A new hearing world has opened up to the 60-year-old thanks to new cochlear implant. After helping heal patients despite being profoundly deaf, a Devon doctor can now hear again. For nearly 30 years professor Willie Hamilton was able to continue his career by lip-reading and relying on his wife or colleagues to help with phone calls. Professor Hamilton now enjoying the sounds of Dartmoor with his wife Ali. Now a new hearing world has opened up to the 60-year-old thanks to new cochlear implant. Prof Hamilton said: “I always explain my deafness when I met patients, but now for the first time in 29 years after not hearing a thing, I can hear. “It’s just the people who have to listen to me that now have to suffer.” His hearing loss began after qualifying as a doctor in 1982, and with the help of hearing aids he was able to continue living a normal life. However, following a cochlear implant, a deep-seated infection in 2000 meant his hearing deteriorated further. Despite surgically successful re-implantation in his ear, the infection had damaged the inner ear causing further hearing loss year on year. Lip reading became Prof Hamilton’s way of communicating, together with FaceTime video calls and having colleagues who could take calls for him. In November 2017, he received his life-changing cochlear implant and he describes the first phone call he made without the need of a translator or visual aid to lip read as having felt ‘amazing’. Exmouth: Wear a silly jumper for the deaf academy. Do readers think begging for funds for deaf education is a POSITIVE? Cannot help going back to children in need telethon where deaf groups refused to participate in begging or fundraising for the deaf. Today deaf groups are queuing up for handouts, so what price 'Deaf pride'? Exmouth urged to get their Christmas jumpers on for town’s new deaf academy People are being urged to pull on their best festive jumpers to raise funds for a new deaf academy being built in the town. Share article from on facebook Tweet article from Share article from on Google Pluspost article from on reddit email article from The new building is currently under construction and the doors are scheduled to open for new deaf students in 2020. Labels: ATR, ATR UK, deaf academy, Exmouth, fund raising. The seven-year-old won a public vote to nab the ‘Community Spirit’ prize at a glitzy gala ceremony held in Gateshead by the charity Signature, who try to recognise people who are going above and beyond to improve access for deaf people. Lily’s mum, Angela, said they had a great night out in the north-east. She added: “I could not be more proud! We are absolutely over the moon that she has been recognised for all her hard work helping others, inspiring determination and raising deaf awareness.” Lily hit the headlines earlier this year when she starred in a fundraising video for the charity Auditory Verbal UK. The Kings Cross Academy pupil herself has hearing difficulties, but having had a cochlear implant which markedly improved her quality of life, she has been trying to give back. Lindsay Foster, Signature’s executive director, said “With over 3000 votes, it was by far the biggest and most exciting competition that the Signature Annual Awards has ever seen. A letter to New Zealand Deaf. "You cannot legislate empathy, understanding, or respect. It has to come from the person not via penal threat. I always tell people the answer lies with them not the law. The Uk has 4 major discrimination and equality laws and the Human Rights one in the UK, but, there is no WILL by the people to make a real effort themselves, so we end up as 'protagonists' threatening people with the law unless they care, not on is it? The way UK equality laws work is on an individual basis i.e. you can fight your corner, maybe win, but it won't mean all the rest in the same situation as you are, will win too. Divide and rule combined with individual or collective right aspirations make inclusion near impossible. 'Each according to need' meant we disabled ourselves as any sort of united community with a common aim. We were sold a pup because we did not read the small print and some areas who had own agenda anyway. Of course, individual success removes the effectiveness of the law, and the UK government removed any right to free legal representation, so unless you have the financial wherewithal to fight your corner, you couldn't even launch a case. I know a bit about NZ deaf issues and they tend to concentrate on the language and the culture, more than the access and equality thing, and both areas seem at odds with each other, so it is in the UK and the USA. The primary result is some sort of 'in-house', glorified isolation really, lauded as recognising 'difference'. The world is full of different people, but most not living with, working with, or respecting each other much. In celebrating difference, they remain segregated and justify that, apart from the real majority who turn on hearing mainstream and claim THEY are keeping them isolated, it's that or they turn on the cultural area instead for working against them. There are all sorts of 'in-house' attacks on each other's stance. I don't think many have the in-depth knowledge, real will, or direction, to gain real equality or acceptance, its all some sort of 'parallel universal' approach, which is still isolation and non-inclusion no matter how it is sold. You cannot attain inclusion via stand-alone approaches and just attacking others for not recognising that! If it quacks it really is a duck. NZ deaf aren't getting a fair go either. I've done a few blogs on NZ and OZ, and have videos and books re NZ sign language (Which appears a mix of ASL/BSL, and local signs with Auslan), sadly they fall into the same trap of leading with the term 'deaf' thus establishing at the start what area and aims they are going for, and that may well not be including deaf with other views, type of access, cultural disagreement, or including the HoH at all except as an afterthought when reminded everyone has the same right of access and funding reflects that. They are about where USA and UK deaf were 15years ago, take it from ATR you really do not want to follow those leads, they aren't working out if your aim is inclusion and real equality and acceptance. The US approach is to sue their way to equality, the UK only in self-interest and fragmented approaches, we've not seen any unity of view here, all we did was sell Deafhood to the Americans because we could make no sense of it, i.e. apart from Scotland which appears to be firm in the belief the law will provide, what the people will not, despite no success with the laws they already have." More captions for the Arts. My spell checker worked overtime on this one! I hope they aren't doing the captions. One piece of reality seems to be missing, even WITH captioning only those living within commute distance can access the arts anyway. E.G. Predominantly, 'Deaf arts' is about sign language and lacks hearing-impaired relevance or appeal and the issue of Deaf not wanting captions online as access, still isn't resolved either which makes youtube access etc difficult and solitary re the arts. Why 'deaf audiences' ? should it not read 'access for those with hearing loss?' A Freudian slip, or the tale of the real tape? 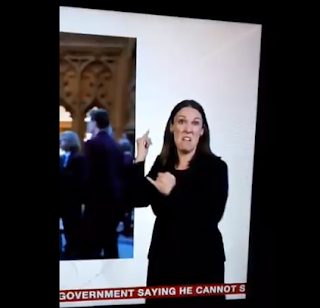 A campaign to give deaf audiences greater access to the arts Campaigners are pushing for greater use of live caption technology in a series of live performances. Les Miserables at the Queen's Theatre will make use of live captions (Ian West/PA). Campaigners are calling for theatres, museums and galleries across the country to give deaf and hard of hearing audiences access to the “passion of the arts”. There are calls for more venues to provide captions for around 11 million hearing-impaired people in the UK, and a series of subtitled and captioned events is being held to promote greater accessibility. Caption Awareness Week sees shows such as Mamma Mia and Les Miserables make use of live captions which give hearing impaired audiences greater enjoyment of the arts, with text displayed live throughout the performances. Melanie Sharpe is CEO of Stagetext, a charity which is leading the campaign to make arts events more accessible to the hearing impaired. She said: “By unifying arts venues and caption users from around the country, Stagetext hopes to bring to life the passion and excitement of the arts to many more people. “Around 11 million people in the UK have hearing loss and we want to make sure that they still have access to the breadth of theatrical and cultural experiences on offer. “Through Captioning Awareness Week we hope to shine a spotlight on the variety of different events and experiences that are available, so that audience members with hearing loss, or people who miss a word here and there can have their theatrical and cultural experiences transformed.” The campaign is running from November 12 to 18, and venues across the country will make use of live caption technology to offer running subtitles during performances. Campaigners want the technology to be incorporated into more shows, and for great information to be provided in galleries and museums for those who are deaf or hard of hearing. Sharpe said: “Although the Captioning Awareness Week is a celebration, it is also a reminder of how much further we need to come to ensure that large sections of society aren’t excluded from something that many of us take for granted.” The first event of the campaign week will be Measure For Measure, played at the Donmar Warehouse in London. Activision's Spyro remake only launched last Friday, but it's already done the business for the publisher, rocking to the top of this week's UK video game charts. However, while there's much to praise about the three-game collection, it's currently the target of heavy criticism regarding its omission of a standard accessibility feature for deaf and hard of hearing players: subtitles. While Spyro does include on-screen text for its in-game conversations, fans began to report over the weekend that subtitles are not present in any of the games' pre-rendered cutscenes. Criticism around the internet became intense enough to elicit a response from Activision earlier today, albeit one that did little to alleviate the mood. "When Toys For Bob set out to make an awesome game collection," an Activision spokesperson offered by way of explanation for Spyro's missing subtitles, "there were certain decisions that needed to be made throughout the process. The team remained committed to keep the integrity and legacy of Spyro that fans remembered intact." Unsurprisingly, Activision's apparent admission that Spyro's missing subtitles were the result of a conscious decision rather than an oversight, combined with the rather bizarre attempt to seemingly claim that it deliberately omitted vital accessibility options in order to create a more authentic experience, didn't go down particularly well within the gaming community. Deaf Boy reacts to Makaton TV show. Labels: ATR, ATR UK, Deaf, Makaton, TV. American sign emojis. Signily is an Emoji-Style Sign Language Keyboard for iOS By Becca Caddy on 07 Aug 2015 at 3:00PM Signily is a sign language keyboard app. So instead of switching to a keyboard to communicate with sassy ladies and dancing girls, you can use official sign language handshapes, whether you're fluent in sign language or just a beginner. There are some similar apps on the market, but Signily is the most diverse with a huge range of skin colours available for each and every handshape. According to Signily, the app has been built for three different kinds of people, beginner, intermediate and advanced. The beginner is for those who don't know much about signing already and they can use the keyboard in a QWERTY setting in order to learn more. The intermediate people will be turning to Signily for a way to chat with friends who use sign language and to learn quicker. And the advanced users may already be fluent in signing so would be using the app to put together handshapes, play on signs and use the keyboard in any way they like! All money made from the app goes towards ASLized's emoji project, which wants to integrate official sign language handshapes into Unicode and get them approved by the Unicode Consortium. Signily is only available for iOS devices at the moment, but according to the app's website, it'll be available on Android mobiles and tablets soon. Sorry, not much positive for those still relying on sign language except that it slows down arthritis in some people. Wearing a hearing aid can slow the progress of dementia by up to 75 per cent, according to a new study. Scientists believe that keeping older people engaged and active by adopting the devices can significantly reduce age-related cognitive decline. They followed the progress of 2,040 individuals between 1996 and 2014, asking them to complete word memory tests at various stages and monitoring the rate of decline before and after getting a hearing aid. The research team found that while the aids did not halt or reverse cognitive decline, they slowed it down by three-quarters, meanwhile, in a separate group of 2,068 who underwent cataract surgery, decline slowed by around half. The team at the University of Manchester said the strength of the association between hearing aids, cataract surgery and mental deterioration meant policymakers should consider hearing and sight loss screening for all older adults. The number of people in Britain suffering hearing problems will rise by 40 per cent by 2035 amid a rapidly ageing population, a charity has forecast. The charity Action on Hearing Loss believes the number of people suffering such difficulties will rise from one in six to one in five, as it called for more investment in treatment and research into hearing loss. Despite this, only £1.11 per person with hearing loss is spent researching potential cures, compared with £11.35 for every person with sight loss. Labels: ATR, ATR UK, cognitive decline, dementia, Hearing aids, hearing loss. Is your assistance dog really necessary? Is there a need to redefine what 'assistance' is in terms of dogs for the deaf? The USA can define such animals as 'emotional support', but the UK defines then as living alert systems, but near all alert systems deaf need can be provided without the need for an animal, so should hearing dogs for the deaf be defined as 'emotional support' too? [We rather fear readers won't look any further than the picture...] And that's 80% of the issue. "Service animals are defined as dogs that are individually trained to do work or perform tasks for people with disabilities. Examples of such work or tasks include guiding people who are blind, alerting people who are deaf, pulling a wheelchair, alerting and protecting a person who is having a seizure, reminding a person with mental illness to take prescribed medications, calming a person with Post Traumatic Stress Disorder (PTSD) during an anxiety attack, or performing other duties. Service animals are working animals, not pets. The work or task a dog has been trained to provide must be directly related to the person's disability. Dogs whose sole function is to provide comfort or emotional support do not qualify as service animals under the ADA." These animals may well be trained to do such things, but there are much cheaper technological assists and more effective alternatives the deaf can use that cost less than a tin of dog food. Pets are pets, and ignoring animal-loving Brits arguments as not relevant, we feel justifying a trained animal for the deaf as an alert, hasn't been proven valid. They aren't necessary to support the physical aspect of deafness. since nothing a dog does via alerting cannot be matched by technology. There is an obvious pro-argument for support via deaf isolation or simply a love of animals and no one is debating differently.. It's misleading to suggest we deaf would not hear a doorbell without a dog, or a microwave ping, a letterbox, phone, etc. 990 dogs are out there in the UK over the last few years, approx 1 for every 10,000 deaf/HoH the latter who appear to be the major area asking for such dogs. This suggests deaf just do not need dogs except as pets. The old chestnut abpounds what use is a hearing dog alerting you to the front door when you still cannot converse with the people knocking on it? Dogs are clever and very adept but their deaf skills are lacking somewhet as is their speech! Again numerous iPhone and other visual systems can do that enabling, and do deaf really need an assistance dog to go out for a meal? As we read, many restaurants and Taxi firms disagree and have objected to deaf bringing them, even accusing them of pretending to be blind, here, we suggest the law is not using the discrimination law for its intended purpose, primarily because no training is given for such animals in these respects. There is a growing demand for proof the person with a dog is deaf and the dog is a legal trained one and not just your usual pet, so public and other service provision does not fall foul of health and safety laws. The law is then failing to protect service providers unsure on guidance rules. Many if not all UK restaurants ban dogs after 6-7pm for valid safety reasons. Is your dog really necessary as an alert? It may be wanted, that isn't the same thing. Labels: ATR, ATR USA, wot? Hello everyone, my name is Matthew Casey and I am here with Ashley Woods a student at Cal Poly were trying to see what she knows about the deafblind community and the disability itself. I have with me Crystal Malveaux to provide some facts about this disability as well. So, Ashley tell me what you know about the deaf-blind disability? Ashley Wood: Some of the things that I heard about people who are deafblind is that they are either totally deaf or totally blind and they all have the same hearing capabilities. Crystal Malveaux: Well actually Ashley this is actually a common misconception about deafblind people there is a wide range of hearing losses and vision capabilities that have different effects on a persons with this disability this basically can range from a person that is blind can be classified under B1-B3, B3 being the worst and someone who is deaf can be classified under mild, severe, moderate, or even profound… profound being the worst meaning that basically they can have hearing in the left ear can be at 70% hearing and hearing in the right ear can be at 90%. Matthew Casey: Is there anything else you know about the deaf-blind disability? Ashely Wood: Another thing that I heard was that deafblind people are totally mute. Crystal Malveaux: Actually, Ashley this is wrong there are actually deaf and blind people that can speak very well and clearly. Yes, there are some that can be mute at times but that is because they are sensitive to different noises and things like that so, they are not able to hear the types of language coming from their mouth. Crystal Malveaux Actually, Ashley there are a variety of things that can cause deaf-blindness. For example, it could be developed throughout age or it can be caused by genetics that can play a huge role in this condition like down syndrome or trisomia 13 and also can be caused by trauma like a blow to the head. A LEEDS girl who was profoundly deaf before cochlear implants transformed her life has travelled to Africa to help as her surgeons give more deaf children the gift of hearing. Georgia Green, 15, of Rawdon, was born completely deaf and could not hear or speak a word until after her first cochlear implant in her right ear when she was two-years-old. The operation was carried out at Bradford Royal Infirmary by surgeon Christopher Raine. At five-years-old, Georgia had a second cochlear implant in her left ear in an operation performed by surgeon David Strachan. ADVERTISING Georgia and her mother Sam travelled to Malawi at the weekend with Mr Strachan and Mr Raine, who will carry out cochlear implants during the 12-day trip on children who have lost their hearing due to illness or disease. Which includes not only born deaf but acquired and deafened people too. The sorry state of ASL extremists with their relentless attacks on A.G.Bell etc looks like clouding the futures and undermining deaf options for the future. "My voice is a curse, it's meant communication support is refused to me unless I use sign language. Nobody believes I am deaf most of the time because 'The deaf can't talk..' view is paramount everywhere and promoted as the image of deaf people and all sign language awareness and tuition is based on the deaf being dumb. They don't use speech in UK sign classwork because cultists objected. BSL classes now being replaced by 'cultural seminars' with sign thrown in for a price. It's no use stating they are talking about 'D deaf' not 'd deaf', or any other deaf, because they have no idea what that means, they see deaf people signing with a terp and a lot of 'face pulling' without speech, so assume we are all like that, when it isn't even representative of their area. The images on USA media where ASL terps are more prominent than the officials they interpret for, is a false image too, as most refer to the text not the sign. Recent concerns terps were displaying own political views in the UK, with very exaggerated faces and others who are aiming to be in some 'X-Factor' situation amongst the Deaf is a problem in that the reliance on it being neutral or even accurate interpretation is becoming a real issue. The reliance of Deaf on interpreters needs much stronger and stringent monitoring. Anyone with a hearing background can see huge gaps in the interpretation of sign accuracy to the spoken reality, and detail goes by the board mostly because the user switches off mainly because they lack the signing skills to follow it. Level VI BSL skills aimed at Level II deaf means too many corners are cut. The signing standard with deaf people just isn't good enough to maximise its usage. Even then they will find co-workers and a host of others in the mainstream, who don't sign at all and won't enable translation. The fact these deaf leave a deaf school and then no longer pursue own signing skills is a norm too. Hearing have to train, re-train, and train again through their working life, Deaf stand still waiting for .... What exactly? I have no idea what this recent drive of sign and community or culture is about, it maybe alludes to some 'cultist' approach to hearing loss, some sort of justification for sign not being able to cut it where it is needed. Most of it is about money really, you can 'sell' sign language, you cannot sell hearing loss but that has made many issues of access and equality for those not born with the silver spoon of sign in their mouths or even those who are hard of hearing. Many oral deaf can sign, it's no big deal, but most know its value is limited in a hearing world they have to live in, so common sense suggests it should be recognised for what it is, a form of 'social communication' within strict parameters of usage that is a hindrance to deaf advancement. The reality most signers rely on captions and subtitling clouds the whole thing, take the text away they would struggle, as would we all. The cultural answer is to relentlessly promote language/bilingualism, deafhood, oppose text assists, and medical intervention, to adopt the sheer joy of being out of it all and all deaf together, which usually means most not in a job or anything, isolated, and limited to social areas where everyone else is as deprived as you are. If that is culture and sold as it is the reality, one wonders how many would carry on with it. The answer is to blame hearing for not being deaf and signing too, yay! a whole new area of martyrs then rally to the cause and paranoia reigns supreme. The D becomes discrimination. More power to the bent elbow with help from the law, so, why has it NOT led to any improvement? The 98.6% of those with hearing loss have mostly left them to it and adopted technology alternatives, which is a mistake because they carry on unchallenged and mislead with blatant self-promotion. Technology supports solitary pursuits too so we are all going to hell in a handcart. As regards TO oral deaf support, the UK hasn't any system, which only tends to aid those who laud silence. You just get BSL offered even if you cannot use it, want it, or know it. They should come to my area where systems are falling over themselves to offer me something I don't want anyway (BSL), which tends to refute the claims deaf people AREN'T getting BSL support, take mine.. PLEASE! But replace it with an oral support system instead. It's astounding in the 21stc there isn't such a system for what is the overwhelming majority." Whatever happened to BBC neutrality of reporting? Is it necessary to pull extreme faces to make a deaf person understand? A sign language interpreter for BBC News has gone viral after she perfectly conveyed what one viewer described as the "perplexing f**kery" of Brexit. The video was taken during a lunchtime broadcast on the BBC World News channel on Thursday (November 15). The interpreter can be seen reporting the latest Brexit developments on a day where two cabinet ministers resigned, a number of political figures expressed concerns about the proposed deal to leave the EU, and the phrases #BrexitShambles and #BrexitChaos trended prominently on Twitter. 'Purple Tuesday' a waste of time? Deaf and the Poor Law: Ireland 1838-1920. Life as a good lip-reader. You say To-ma-to I say Po-tay-to? Work with a Deaf person? Advice for parents of deaf children. Should deaf declare their issue to an employer? Stop listening to my FARTS!! New plan to support Deaf homeless in Scotland. Deaf man ‘let down’ by police..
A Message from Trinidad and Tobago. Hearing aid loops, are they actually used? Welfare assessment by police threat?